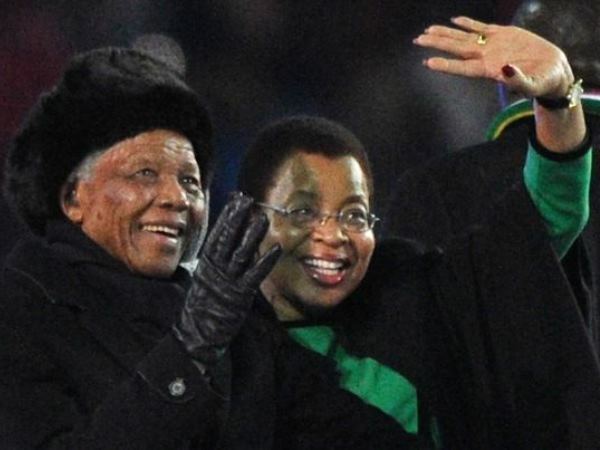 As the first anniversary of Nelson Mandela's death approaches, his widow Graca Machel said on Tuesday that her heart was growing heavier and that it was still difficult to accept he is gone. As the first anniversary of Nelson Mandela's death approaches, his widow Graça Machel said on Tuesday that her heart was growing heavier and that it was still difficult to accept he is gone. The South African anti-apartheid icon died last December 5 at the age of 95 after a lengthy battle with illness. "The more we approach the month of December, my heart is getting heavier and heavier," said Mozambique-born Machel. "It is still too early to live with the reality that Madiba is no more," she said referring to the Nobel Peace prize winner by his clan name. Mandela's death prompted a week of national mourning in the country he led from the darkness of apartheid to democratic majority rule. Plans are underway for state events to mark the anniversary of his death. Machel was speaking at the launch of a Mandela Remembrance Walk that will take place on December 13 in the capital Pretoria. She said it was important to keep his memory alive for future generations and remind them "there was a time where we had leaders, a collective leadership which went ahead and mobilised all of us... when it comes to fight for freedom." South Africa has struggled since Mandela remade his "Rainbow Nation", battling high unemployment, poor governance as well as endemic crime and poverty. I'm a 61 year old man looking to meet women between the ages of 53 and 66.